Industry leaders, HP Inc., and Dassault Systèmes announced that both the companies are collaborating to unleash a new era of product design innovation. In an announcement made at the SOLIDWORKS World 2018 event, both the companies have committed to work together to optimise Dassault Systèmes’ SOLIDWORKS 3D design and engineering applications to explore advantage of the unique voxel-level capabilities offered by HP’s Multi Jet Fusion 3D printing solutions. The collaboration between the two companies will allow designers and engineers to totally reimagine products, leverage new materials and go beyond the existing limitations of traditional manufacturing, and allow them manufacture new products in a faster and efficient way. The SOLIDWORKS applications are known to support the entire manufacturing process. Right from designing to manufacturing, SOLIDWORKS enables innovators to rethink their approach towards making parts and products. Powered by Dassault Systèmes’ 3DEXPERIENCE, it has been allowing millions of designers and engineers to not just quickly bring their innovative ideas into reality, but also help them bring new consumer experiences to the market. If SOLIDWORKS allows designers and engineers to turn their ideas into reality, then HP’s Multi Jet Fusion 3D printing technology is known to offer unique ability to control part properties at an individual voxel level. The cutting-edge 3D printers from HP not only revolutionise design, prototyping and manufacturing, but also make it possible to design parts that were previously unconceivable. The collaboration between two companies will only help align future technology roadmaps. As a part of the collaboration, the two companies will provide access to the latest design tools integrated with HP’s voxel-level technology and design tools for new materials. This future roadmap involves the upcoming releases of the SOLIDWORDS portfolio to support the full-colour capabilities of HP’s newly launched Jet Fusion 300/500 series of 3D printers. 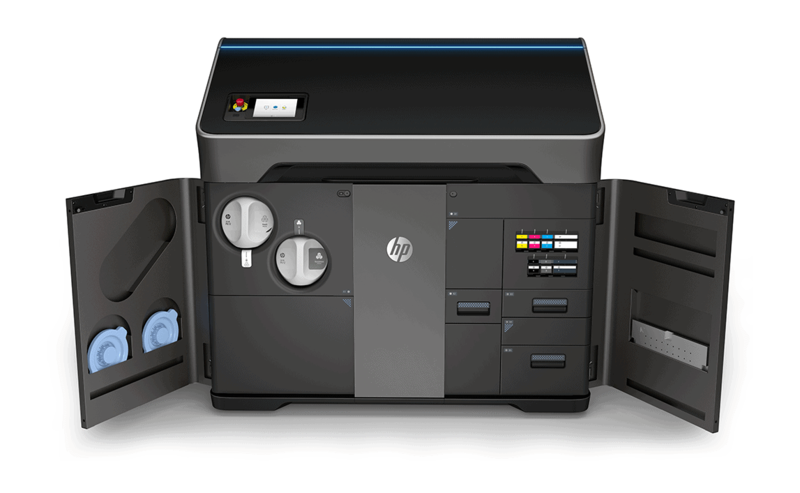 Above: HP Jet Fusion 580 Color 3D Printing Solution/Image Credit: HP Inc. Both the companies are supporters of 3MF standard – an industry consortium that works towards helping companies to focus on innovation rather than on basic interoperability issues and will hence ensure that there is reliable exchange of colour information for 3D printing as well as continuous testing, and validation of their solutions to assure that there is accurate exchange of information across the manufacturing workflow. “Some of the world’s greatest innovations spawn from the ideas of students, researchers, educators, and entrepreneurs. We are honored to bring the HP Multi Jet Fusion platform together with SOLIDWORKS’ leading design platform and millions of users worldwide to give creators the tools to build the next great innovations,” Nigro added. Providing more details about the collaboration, Gian Paolo Bassi, CEO, SOLIDWORKS, Dassault Systèmes said, “Innovators are driving tomorrow’s industry renaissance, and additive manufacturing, new materials and 3DEXPERIENCE twins are opening up a world of possibilities where they can test and create their concepts”. “Our investments in materials science combined with HP’s open approach to materials development are the foundation of a successful partnership between Dassault Systèmes and HP. Together we can expand on the technologies of both companies and collaboratively research new tools around materials science and the development of new materials. Innovators can stretch the limits of imagination, invent and reinvent, further the art of manufacturing and ultimately pursue sustainable innovation for products, nature and life,” Bassi added.